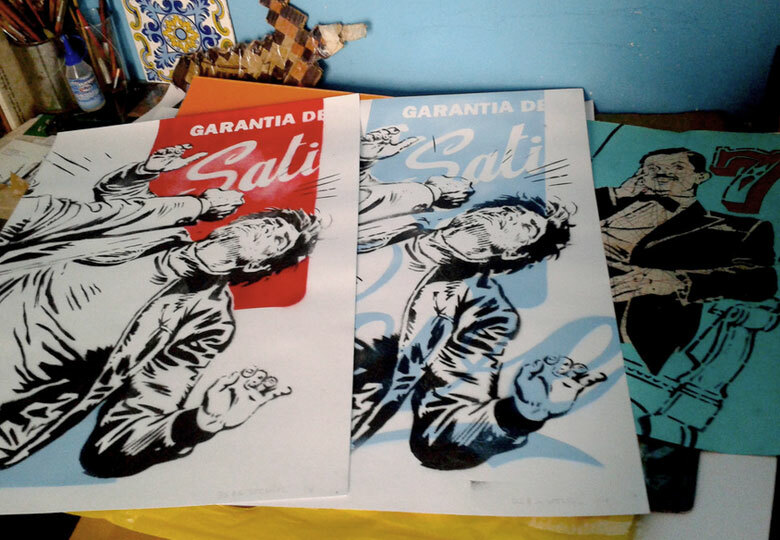 bs.as.stncl is a two person stencil collective comprised of artists NN and GG, a printmaker and graphic designer respectively. 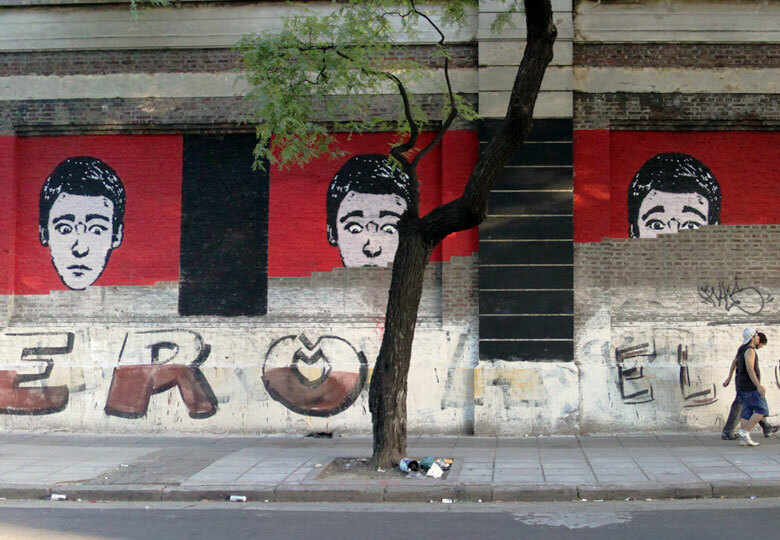 bs.as.stncl have a long history of involvement in the Argentine street art scene, and led the first wave of stencil art in the capital’s troubled streets following the 2001 crisis. Formed in 2002, the duo was motivated by the potential for expression and communication using the medium of stencil as an urban intervention. Despite deliberately leaving their work unsigned, their easily recognizable style has gained a loyal following. Their early work had strong political undertones, created to communicate clear messages to its urban audience. Over time their pieces became less overtly political, and shifted towards a focus on satirizing popular culture, icons and current affairs. The trademarks of their creative backgrounds are evident in their work – the bold use of primary colors and stylized figures combine to create a heavily graphic style. bs.as.stncl emphasizes the importance of collaboration, insisting that this is what gives street art its incredible power and impact. They celebrate “do-it-yourself” culture, as both a system of organization and in the production and distribution of their work. 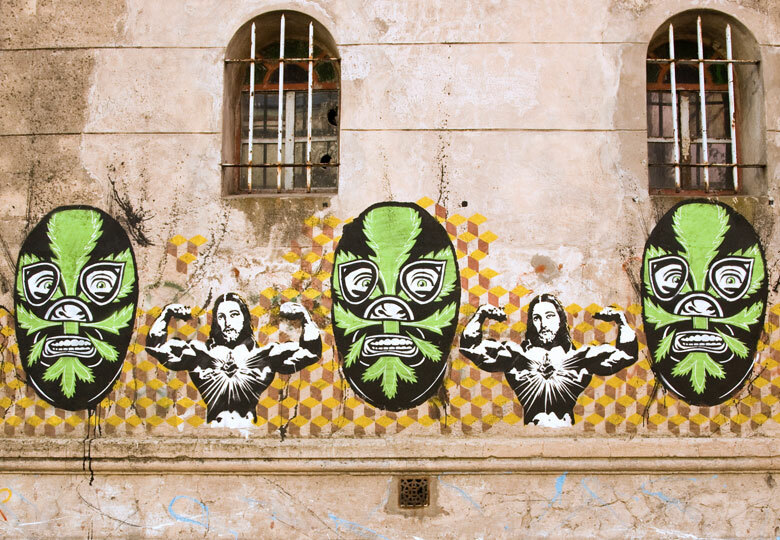 In 2006 they were two of a group of six artists who launched Hollywood in Cambodia, an artist-run urban art gallery in Buenos Aires.